Santa Monica, California, July 19, 2005 The dancehall reggae master Shaggy returns with his sixth studio album, Clothes Drop, set for release on Geffen Records September 20th. Fans can get a taste of the new music on July 19th when the first single, Wild 2nite featuring Olivia from G-Unit, will be available for digital purchase. Shaggy and Olivia met up in Brooklyn, NY recently to shoot the video for Wild 2nite with X directing (Usher, Ying Yang Twins, Nelly, Beanie Man). Clothes Drop, Shaggys sixth studio album, is a non-stop boomshot of a record, a varied and invigorating explosion of tough rhythms, with Shaggys unique rough-and-smooth toasts devoted to music, women, fun and even the spirit. 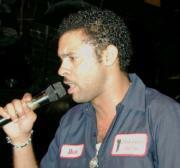 Recorded at Big Yard Studios in Jamaica, West Indies and The Ranch Studios in New York, Shaggy worked with a variety of producers on Clothes Drop including the quintessential Jamaican rhythm geniuses Sly and Robbie, R&B hitmakers Soulshock & Karlin, Black Eyed Peas will.i.am, hit making track producer Scott Storch, as well as long time Shaggy producers Sting International, Armando Colon, Tony Kelly, Dwayne Skippy, Michael Fletcher and Robert Livingston. 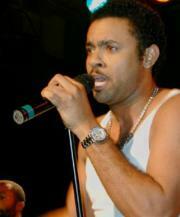 Shaggy, born Orville Richard Burrell, in Kingston, Jamaica, relocated to his mothers home in Brooklyn, New York at age 18. He made two immediate Number One club hits, Mampie and Big Up, with producer Sting International, who continues to play a crucial creative role in Shaggys music. But two successful records on the local dancehall scene didnt add up to a living, and Shaggy joined the U.S. Marines in 1988, serving in the first Gulf War of 1991. Determined to succeed in music on his return stateside, he and Sting created Oh Carolina, which roared into the Number One spot in the U.K. and nine other countries in 1993 and appeared on the Pure Pleasure album. The 1995 Boombastic album cemented Shaggys position as a consistent hitmaker, winning a Grammy in 1996 for Best Reggae Album. In 1997 Shaggy released Midnite Lover and 2000 saw the release of the massively successful Hot Shot album, with its global Number One singles It Wasnt Me and Angel. With a six-week run at Number One on the U.S. album chart, over six million albums were sold in the U.S., out of a worldwide total of more than 10 million. Hot Shot topped the album chart in 15 countries in 2001, and a rain of international awards followed. The 2002 release of Lucky Day was an homage to all the women in his life.